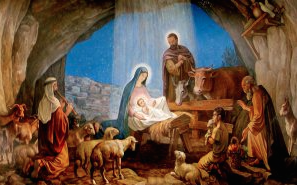 Today some 2 billion people –roughly 1 billion Catholics and another billion in protestant faiths-observe Christmas. If you were asked, “Why do you celebrate Christmas?” How would you respond? Many would say Christmas honors the birthday of Jesus. Others feel that Christmas is a good Christian family get-together. Many do it because they’ve always done it. Christmas can appear tantalizing to the eye and ear. People appear happy, generous, full of good cheer. Twinkling lights decorate many houses. Santa Claus and his reindeer are pictured as poised to lift off snow-covered front yards or rooftops, although in the southern hemisphere and tropics there is no December snow. The colorful, peaceful-appearing Christmas scene can be intoxicating, addicting. Shoppers pack stores, browsing for gifts they hope to buy at bargain-basement prices. Soaring strains of “White Christmas”, “Silent Night” or “Rudolph, the Red-Nosed Reindeer” resonate everywhere. 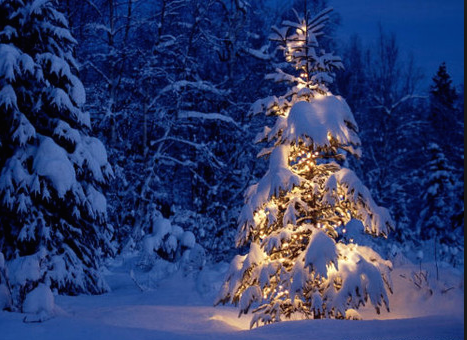 Christmas trees with twinkling lights and bright, sparkling ornaments create a mystical and glowing environment. Entire families want to experience the special mystery that only comes with the Christmas season. There is no religious holiday quite like it for the millions everywhere to observe it. However, there is a very important question to be asked about Christmas: Was Christ really born on Christmas Day? After all, the Bible nowhere tells us the day of his birth. In fact, most credible secular historical writings tells us that Christmas, more than 200 years after Jesus’s death, was considered sinful: “As late as A.D 245 (the early Catholic theologian) repudiates as sinful the very idea of keeping the birthday of Christ” (Encyclopedia Britannica, 11th edition, 1910, Vol. 6. P. 293, “Christmas”). The conception of Christmas on December 25th as the celebration of the birth of Jesus started in the V century of our era. The emperor Constantine, the one who started the Christian faith was responsible to include this celebration. Studies made from notable people like the priest Igartua, published a series of books named “The gospels through history” where he concluded Jesus could have not been born on the year 1. It has been stated that Jesus was born during Herodes times, however Herodes died before the year 1. According to some recent research the date of birth of Jesus was August 21th at noon, in the year -7 according to our roman calendar. For some unexplained reason that date has been completely forgotten and changed to December 25th. He was the first child, followed by Santiago (April 2nd, year -3), Miriam or Maria (July 11th, year -2), Joseph (March 16th, year -1)., Simon (April 14th, year 2), Martha (September 15th, year 3), Jude or Judas (June 24th, year 5), Amos (January 9th, year 7), and Ruth who was born a few months after her father Joseph died (March 13th, year 9). A total of 9 children. Shepherds were not in the fields during December. According to “Celebrations: the complete book of American holidays”, Luke’s account suggest that Jesus may have been born in summer or early fall. Since December is cold and rainy in Judea, it is likely the shepherds would have sought shelter for their flocks at night. Also, Jesus’s parents went to Bethlehem to register in a roman census, and censuses were not taken in winter, when temperatures often dropped below freezing and roads were in poor condition. Taking a census under such conditions would have been self-defeating. Given the difficulties and the desire to bring pagans into Christianity, there was a compromise with the fixing of the date as December 25th with the paganism. 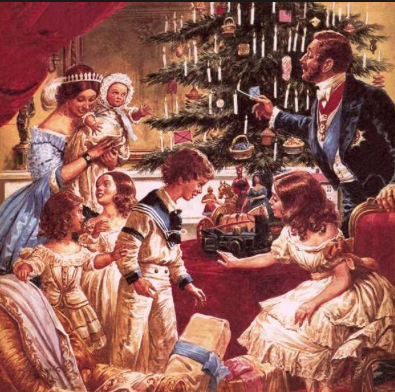 Many of the trappings of Christmas are merely carryovers from ancient celebrations. 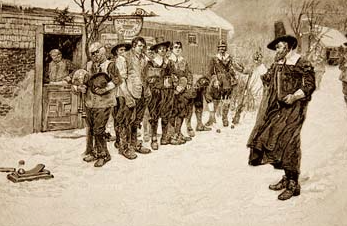 Santa Claus is an American corruption of the Dutch form “San Nicolaas”, a figure brought to America by the early Dutch colonists. This name stems from St. Nicholas, bishop of the city of Myra in Southern Asia Minor, a Catholic saint honored by the Greeks and the Latins on Dec. 6. The Encyclopaedia Britannica states: :The church of the 2nd and the 3rd centuries, such as Clement of Alexandria, Origen, and Epiphanius, contended that Christmas was a copy of pagan celebration” (15th edition, macropaedia, Vol. 4, p.499, “Christianity”). We cannot scape that Christmas is rooted in ancient customs and religious practices that had nothing to do with Christianity and the Bible. As a way to ease convert’s transition in more recent years the holiday’s observance has been driven also by economic factors. Christmas and many of its popular customs and trappings are nowhere set forth in the bible as I stated before. Ancient Greek customs honoring God Dionysis (Bacchus), the Saturnalia in honour of Saturn, The Roman winter-solstice celebrations dating the winter solstice on December 25th, then changed to December 21st; The Persian Romans with Mitra God of Light, The European Teutonic feast of Yule celebrating the twelve nights from December 25th to January 6th; The German Odin celebrations, the Dutch Nicolaee, are amongst the contributors to the origins of the pagan celebrations that caused the addition of the birth of Jesus on the date of December 25th, without any evidence for this fact. In view of centuries of criticism of the commercialization of Christmas, it is interesting to note that the holiday’s secular, not religious aspect, has been most responsible for its popularity. So as today there is still a controversy about this celebration, and while some decided to stick to their believe of the reasons to celebrate it others choose to have more certain information before deciding if follow tradition or being part of the ones researching of waiting for facts. Previous PostPrevious How to know how many is too many?